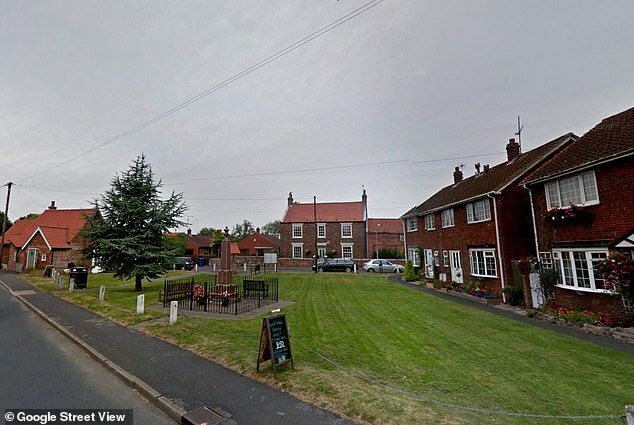 A Yorkshire village could have been hit by 12 atomic bombs in a secret Cold War plan to test Britain’s nuclear capability, it has emerged. The coastal settlement of Skipsea in what is now the East Riding of Yorkshire was reportedly discussed as the UK developed its nuclear weapons in the 1950s. Defence chiefs are claimed to have built a secret bunker and bought land large enough for ‘a dozen detonations over a period of several years’, which could have spread a nuclear fallout for miles across the north of England. The plan was dropped when Australia granted permission to detonate nuclear weapons in the desert, the Daily Express reported. Under the plans, revealed by historian Mike Covell, one of the bombs would have exploded in the steeple of a 14th-century church in the village. The bombs reportedly ‘looked like fridge freezers’ but could have caused the same damage as the devices dropped on Hiroshima at the end of World War II. A 100-mile radius of cities affected by the fallout would have included Manchester, Leeds and Newcastle, in what Mr Covell called a ‘preposterous’ plan. British defence bosses had hoped to test their weapons in the Pacific Ocean’s Marshall Islands but the United States blocked the use of their testing ground. Winston Churchill’s government looked for alternatives until Australia gave permission to use Emu Field in the country’s desert. 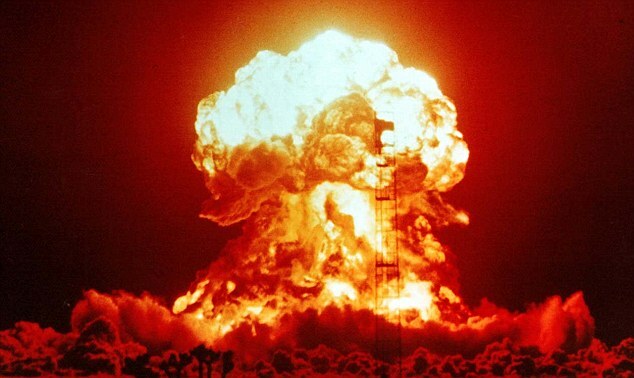 The first UK nuclear bomb was detonated on islands off Western Australia in Operation Hurricane in October 1952. Two further tests were then carried out on Emu Field on the Australian mainland in operation Totem the following year. The tests resulted in the Blue Danube bomb, Britain’s first operational nuclear weapon, which was carried by RAF planes. Britain later shifted away from air-launched weapons, introducing the Polaris submarine-based system in 1968. The final air-launched nuclear weapon was abandoned in 1998, according to the MoD, leaving Trident as the UK’s deterrent.